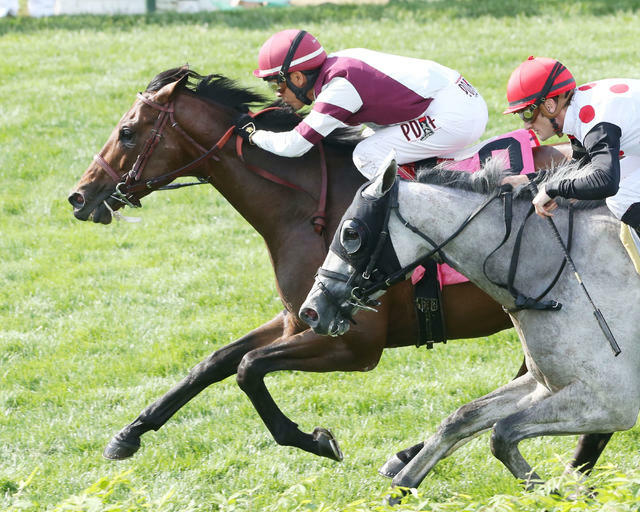 Gunpowder Farms’ Divisidero outgamed World Approval by a neck to win the 29th running of the $500,000 Woodford Reserve Turf Classic (GI) for 4-year-olds and up. Trained by Buff Bradley and ridden by Edgar Prado, Divisidero covered the mile and an eighth on a firm Matt Winn Turf Course in 1:47.37. Midnight Storm led the way through fractions of :23.09, :46.32 and 1:10.90 with Bolo in closest pursuit. On the far turn, World Approval went after Midnight Storm with Divisidero following right behind. Divisidero and World Approval hooked up in the upper stretch and dueled the majority of the lane before Divisidero eased away in the final yards. The victory was worth $288,300 and increased Divisidero’s bankroll to $672,650 with a record of 8-4-1-2. Divisidero is a 4-year-old Kentucky-bred son of Kitten’s Joy out of the Lemon Drop Kid mare Madame Du Lac. Divisidero returned $15.40, $7.60, $5.60. World Approval, ridden by Julien Leparoux, returned $9.80 and $6.80 with Slumber (GB) finishing neck back in third under Irad Ortiz Jr. and paying $5.40 to show. Tourist finished fourth and was followed in order by Big Blue Kitten, Danish Dynaformer, Midnight Storm, Reporting Star, Chocolate Ride and Bolo. Triple Threat (FR) and Kasaqui (ARG) did not finish following a spill in the far turn. Both horses were taken by their grooms back to the barn. 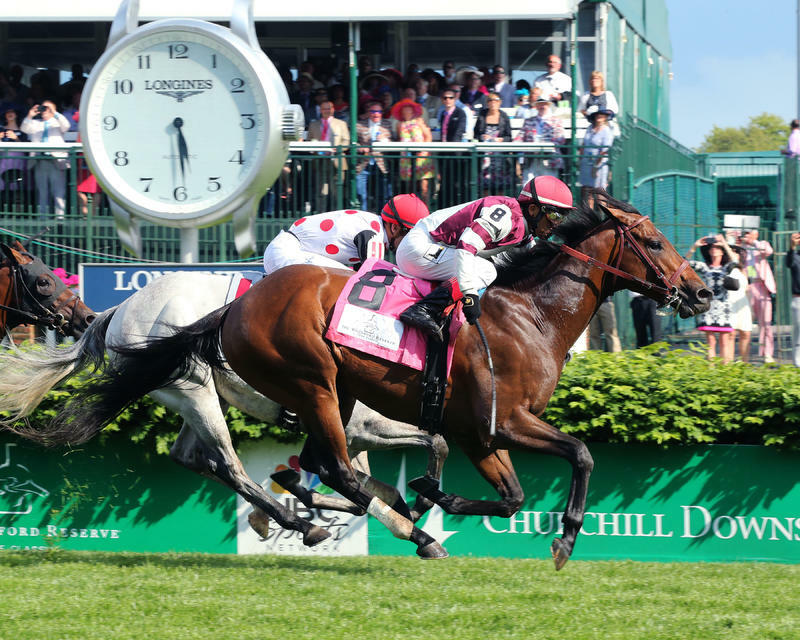 Julien Leparoux (rider of World Approval, runner-up) – "He ran a big race. He put me in the race a bit more today. He was fighting in the straight. The winner is a nice horse, too. But he ran good."